Being pioneer in various fields of Engineering and having mastery in the field, we feel immense pleasure to provide training to young engineering students, fresh engineering graduates and working engineers to enhance their skills that helps them to achieve higher goals in their life. 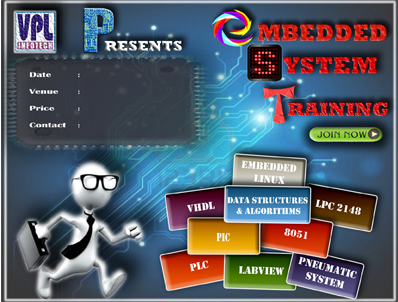 We provide training in various branches of engineering viz Electronics & Telecommunication, Electricals, Computer Science, Mechanical Engineering, Instrumentation, Software Development etc. Customized training can also be arranged based on specific needs of students. If you are interested to undergo training by our experts, please feel free to ask us by filling up following enquiry form. We shall be happy to help you.